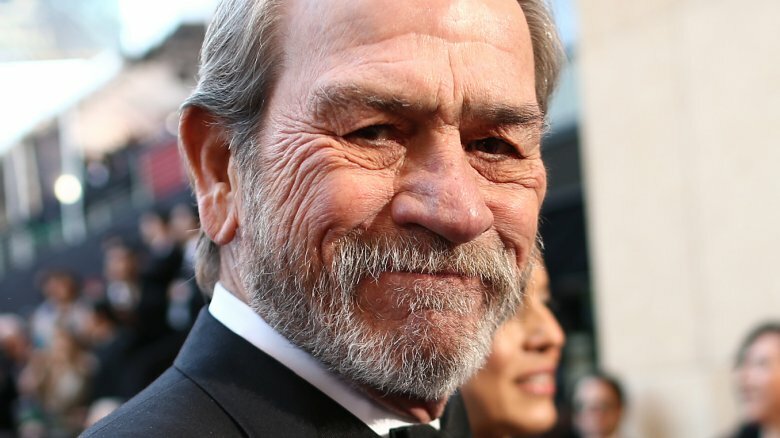 Tommy Lee Jones could play Brad Pitt's father in an upcoming sci-fi flick. Deadline reports that Jones has signed on to star opposite Pitt in Ad Astra, which mean "to the stars" in Latin. Pitt will play a mildly autistic space engineer named Roy McBride. Two decades after his father left on a one-way mission to Neptune on a search for extra-terrestrial life, McBride travels through the solar system in an attempt to find him and learn why the original mission failed. Sources said Jones will play Pitt's long-lost dad. James Gray (The Lost City of Z, The Yards) co-wrote and will direct the movie, which sounds a little like Heart of Darkness set in outer space. Pitt confirmed that he'll star in the movie in February. He'd been trying to collaborate with Gray for a long time and was originally expected to be in both The Lost City of Z and The Gray Man. Not much else is known about Ad Astra, but we'll let you know when we hear more. In the meantime, check out the movies we think will blow everyone away this year.